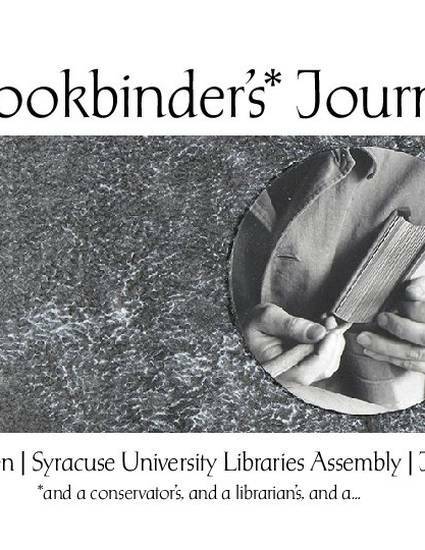 The Syracuse University Libraries Assembly (SULA) presents Peter Verheyen, Librarian at Syracuse University Libraries. At this illustrated lecture on July 30, 2018 Verheyen spoke to his career as a bookbinder with a focus on his creative work. A video recording that also includes the questions & answers can be viewed here. Among the facets discussed were how his experiences and the mentorship he received as a work-study student guided him to apprentice in his “native” Germany; the materials and techniques he uses to craft his bindings, many of which have been exhibited throughout the US and abroad; and a recent project that ties together many of the threads of his career. In addition to slides, he brought a selection of his bindings and some of the tools and materials he uses in his work, for attendees to explore.